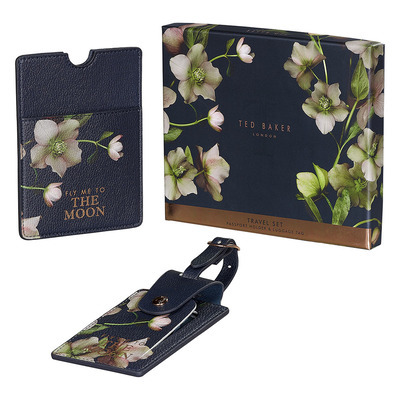 Travel in style with this smart and practical Arboretum Passport Holder & Luggage Tag Set by Ted Baker. 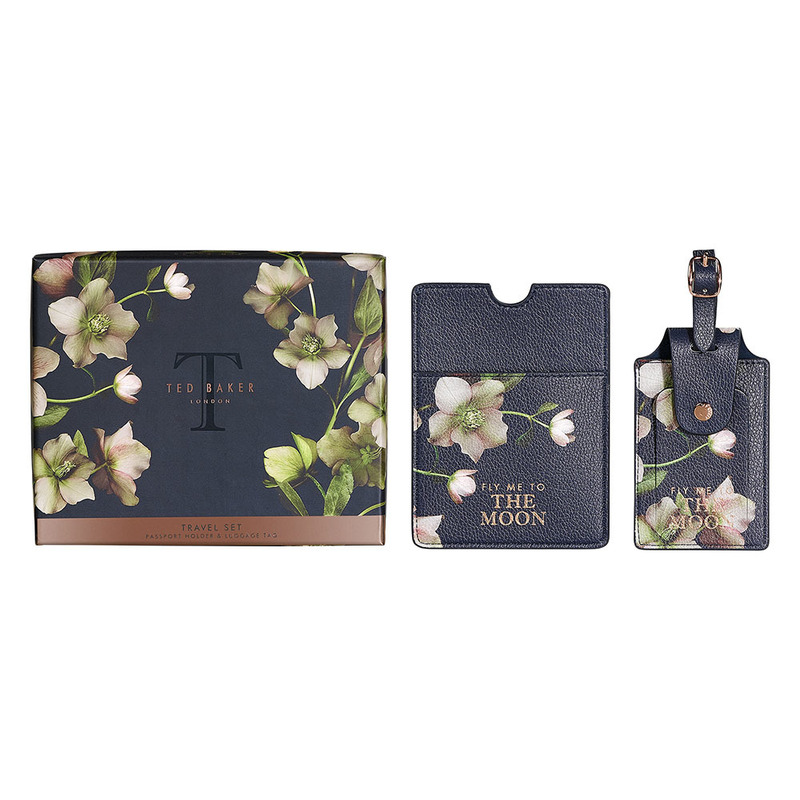 The faux leather passport holder is decorated with a beautiful flower pattern, has the Ted Baker logo embossed in rose gold and reads 'Fly Me to the Moon'. 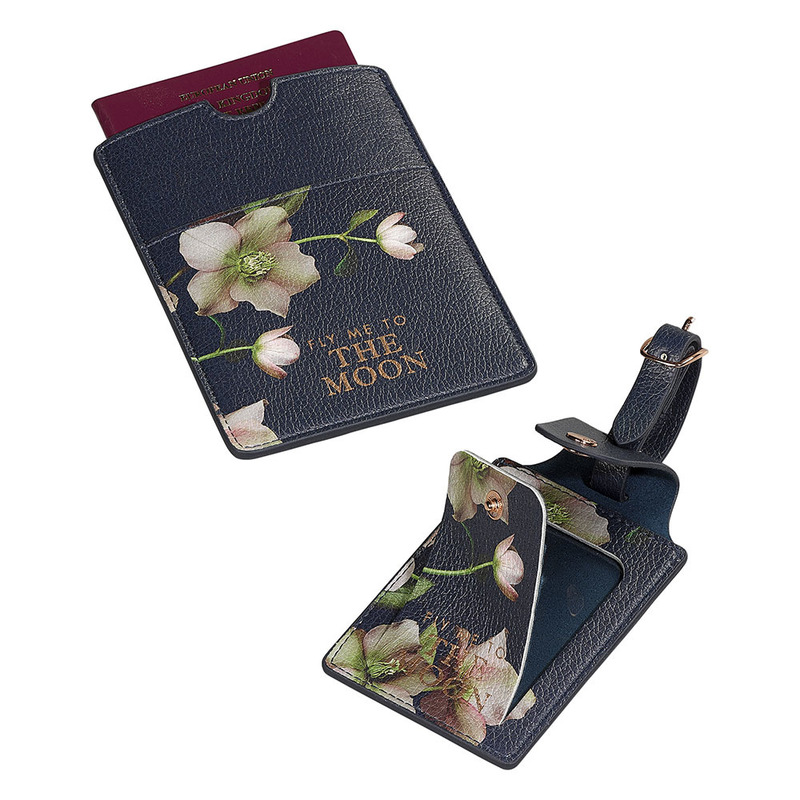 The luggage tag has a rose gold buckle to attach it securely to your luggage.